The most popular use cases for SAP Cloud Platform Streaming Analytics (which is the cloud version of SAP HANA smart data streaming) are around the Internet of Things. Therefore, many use cases will want to use Streaming Analytics in conjunction with the SAP Cloud Platform Internet of Things service. Here’s the section of the IoT services documentation on how to configure the SDS Processing Service in IoT Services. This configures MMS routing, mapping specific message types from specific device types to SDS input streams. See the IoT Services documentation on the SDS processing service. Note that the schema of the CCL input stream must reflect the MMS message type you have mapped to SDS. The schema must have one column (field) corresponding to each field in the MMS message type, and the datatypes must match (or be compatible). These columns must be named beginning with the prefix c_ . There must be two additional for the device ID (g_device) and the timestamp (g_created) of the message insert; these are not part of the MMS message type but are generated automatically. If you have set everything up but don’t see data arriving in the SDS project, here are suggested steps to troubleshoot the problem. I have done the steps as your instructions, but an error occurred during connect to Streaming Analytics from SAP HANA Studio, The streaming project runs in the HCP HANA streaming server, but still I can’t connect to the server that I added. and the HANA streaming server was down due to attempt many times. Can you please help on it or give a further advise ? What specific error(s) are you receiving? Thank you for sharing the details how Streaming Analytics and IoT services can be complementary. Just want to know if we can also connect Cloud Foundry IoT Service to SDS Processing service? 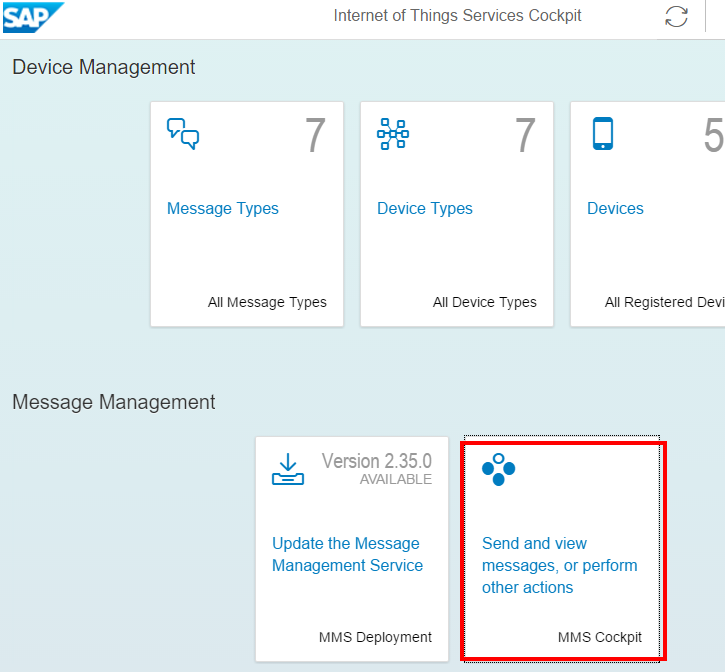 Hi, How can we make this work for IoT Service 4.0 that does not have Message Management Service Cockpit?